In M.I.A. 's opinion, videogames give kids the wrong idea about what it's like to inflict violence in the real world. 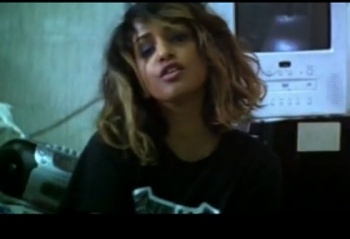 Mathangi "Maya" Arulpragasam, also known as singer/songwriter M.I.A., has been criticized in the past for interpretations that some of her works, such as "Paper Planes", encourage violence, though she has at times denied these violent meanings. M.I.A. herself thinks that videogames could be more problematic than music in regards to childrens' views on violence. Speaking in Connect Magazine (via CVG), M.I.A. said that while she unfortunately "saw violence all the time" during her upbringing as a child in Sri Lanka, her kids will only see it "in computer games." Still, this could be a bigger problem. "I don't know which is worse," she said. "The fact that I saw it in my life has maybe given me lots of issues, but there's a whole generation of American kids seeing violence on their computer screens and then getting shipped off to Afghanistan." The problem in M.I.A. 's mind is that the violence depicted in videogames is unrealistic: "They feel like they know the violence when they don't. Not having a proper understanding of violence, especially what it's like on the receiving end of it, just makes you interpret it wrong and makes inflicting violence easier." Killing in a game is like shooting at a picture of a soldier: Nothing really happens. Killing someone in real life affects that person's family, those around them, and can have much deeper consequences. M.I.A. could be right that violent games and other media give kids a mindset that war is "cool" and that a death has less meaning than it really does, but I seriously doubt that anyone playing Call of Duty thinks they're going to be wielding dual shotguns in Afghanistan. I personally grew up on games like Doom II, even adding the extra-gory monster deaths patch, yet would have trouble aiming a gun at another human being even in self defense. Though many people's opinions on videogame violence tend to be pretty ludicrous, M.I.A. could have a valid point that too much gaming can give young kids the wrong general idea, but I've yet to meet a kid that can't tell the difference between Xbox and real life.